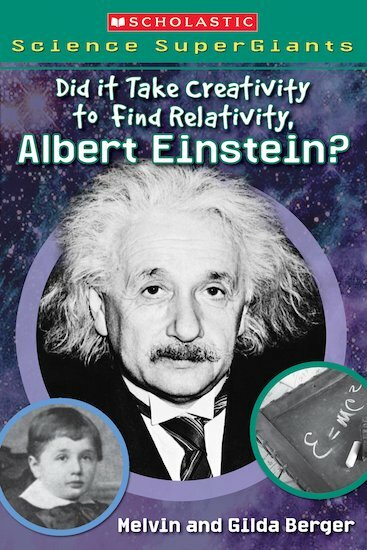 Buy Scholastic Science Supergiants: Did it Take Creativity to Find Relativity, Albert Einstein? Use Rewards for Scholastic Science Supergiants: Did it Take Creativity to Find Relativity, Albert Einstein? From mediocre high school student in Germany to world-renowned physicist, meet an iconic bright spark of science! Using a question-and-answer format with fun experiments to try, this guide shows you all the highlights (and lowlights) of Albert Einstein’s life and work. Find out why people thought he was a rather stupid child, and how he first got interested in science. Best of all, discover the theories that changed the world, including the mind-blowing Theory of Relativity! 760L Lexiles are the global standard in reading assessment. They are unique as they are able to measure a child and a book on the same scale – ensuring the right book gets to the right child at the right time.